It’s just a porta potty, a portable restroom rental until you need it. Then it becomes a porta-potty, a porta john, a toilet, a can… Suddenly, it something that you or your people will use and condition and cleanliness IS of the utmost importance. We hear you and couldn’t agree with you more! Our porta potty – portable restroom rentals arrive in new or like new condition. We expect all of our units to pass the mother-in-law test and our porta potty portable toilet rentals are no exception to that expectation. Conclusive’s standard porta potty portable restroom rentals, deluxe porta potty portable restrooms, VIP porta potty restroom rentals and flushing porta-potty restroom rentals are subject to the most studious of cleanings and pass the rigorous cleaning process both at our plants facilities and with service, at your event or project site. No see through toilet paper in our toilet rentals here. The toilet tissue provided with our rental restrooms is not of the five-rolls-for-a-quarter-variety. Seat Covers are available upon request for our rental toilets, as are specific hours of delivery, pick-up and service. Our hand wash stations are ‘double’ hand wash sink rentals which dispense 2 oz. of water per foot pump allowing maximum hand washes before requiring refilling. We offer Handicap toilet rentals and ADA Handicap restrooms that are ADA Compliant portable restroom rentals. 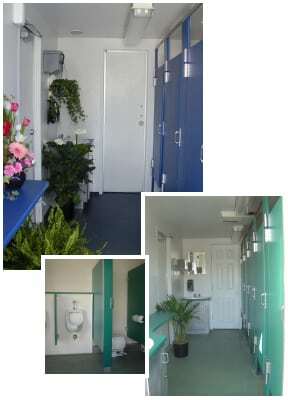 Additional style of toilets, sinks and hand sanitizing stand rental units are available.